Following global trends, such as e-commerce and digitalisation, the material handling industry is changing and adapting quite quickly. 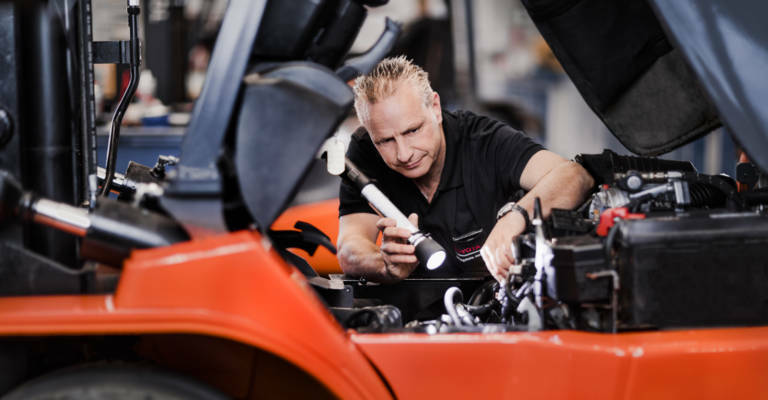 As a leading material handling provider, Toyota Material Handling Europe’s focus is therefore how innovation and connectivity can improve service for its customers as well as technicians. The result is T-Stream, Toyota’s new service tool developed together with Microsoft. Toyota’s digital road map in service started 15 years ago with the first mobile solution for its technicians, called EASY (Engineer Administration System). 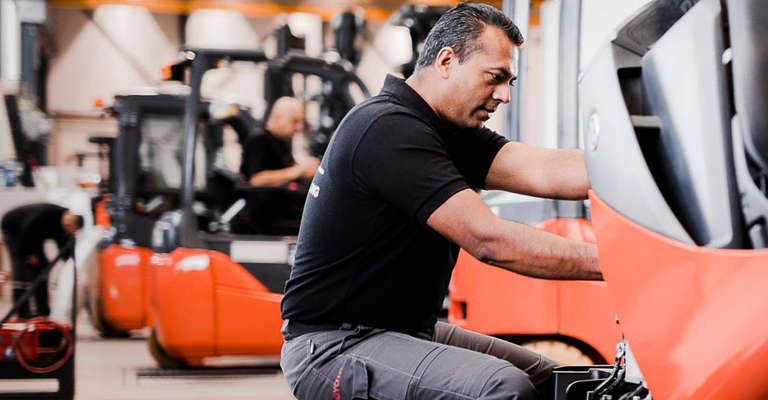 Along the way Toyota Material Handling Europe has continued to invest in technology, for example by connecting forklifts and offering real-time information. In order to excel in service as well, its service tool needs to comprise the right technology to offer its technicians the necessary support. That’s why Toyota Material Handling Europe decided to partner up with Microsoft, another global player that shares its digital vision. Toyota Material Handling Europe worked with Microsoft for advisory and development services in the creation of T-Stream, a brand-new all-in-one solution. Built on Microsoft’s Azure cloud, it runs on Windows, utilises Bing Maps and GPS systems to provide technicans with an improved, proactive service that can carry out maintence for customers before breakdowns occur. 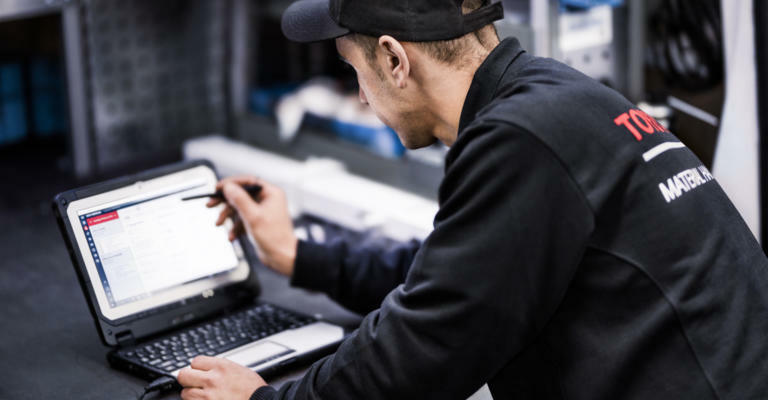 New functionalities include an improved planner, parts finder, fleet management, picture functionality, integration with other applications, and technical documentation. They now have all the right information at the right time, wherever they are, whether it’s an overview of service tasks or technical information, resulting in more confident technicians. Not only can they plan their work more efficiently, but the back office can also offer better support more quickly, benefitting both the technicians and the customers. With the first release replacing the existing EASY service platform, new updates of the tool are planned over the next few months and years. Working with the Microsoft Azure cloud platform also allows for new features in a faster and smarter way. The first release is only a part of Toyota’s digitalisation journey. 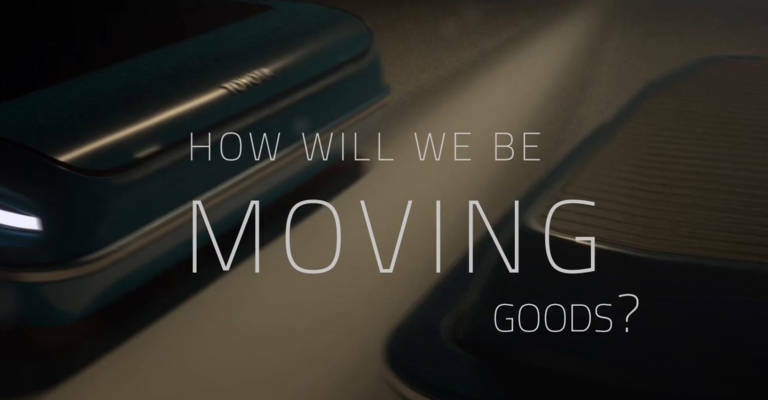 In the future, Toyota Material Handling Europe will be able to change its business model completely in function of the customer needs, to advise and support them in the best way they can thanks to data provided by telematics. Connected trucks will also allow Toyota to move towards predictive service, repairing trucks before anything can happen, aiming for zero breakdowns.